The United Nations food and agriculture organisation (FAO) celebrates the il World Food Day each year on 16 October, with the aim of raising public awareness of the topics of hunger and malnutrition. 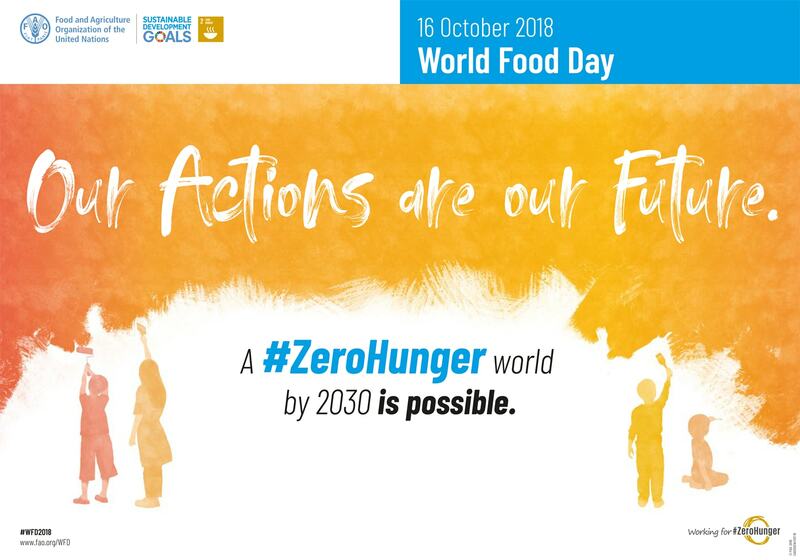 The ambitious goal is to succeed in achieving a #ZeroHunger world and the theme chosen by FAO for the 2018 edition is precisely that: “Our Actions are our Future. A #ZeroHunger world by 2030 is possible.” The choices we make today are fundamental to achieving the #ZeroHunger goal, simple actions that each of us in our own small way can perform, but which make a difference: avoiding wasting food, producing more with less and adopting a more healthy and sustainable diet. Celebratory events such as marathons, exhibitions, concerts and competitions dedicated to students are planned in 150 countries, as well as the main event to be held in Rome. The main aim of this day, established in 1979 during the work of the twentieth FAO General Conference and first held in 1981, is to encourage people at global level to act against poverty, hunger and malnutrition and to promote food safety. In 2015, the 193 United Nations member countries approved the Global Sustainable Development Agenda (Agenda 2030) and they undertook to reach the related Sustainable Development Goals (SDGs) by 2030. One of the 17 goals of Agenda 2030 is precisely that of defeating hunger in the world, SDG 2 Zero Hunger: “To end hunger, achieve food security and improved nutrition and promote sustainable agriculture.” The official date on which the Sustainable Development Goals came into force was the beginning of 2016. But what is the situation today? Unfortunately, with the economic crisis, wars and extreme weather events, hunger and malnutrition are once again increasing. Last September, the “FAO annual report on the State of food security and nutrition in the world” was published, highlighting just how highly contradictory food is: on the one hand, 821 million people, 11% of world population, especially women and children, do not have sufficient food and have been exposed to the risk of hunger or have suffered it. On the other, over a quarter of world population (almost 2 billion people) are overweight. Of these, 600 million are obese and it is estimated that each year more than 3 million people die due to problems linked to obesity. 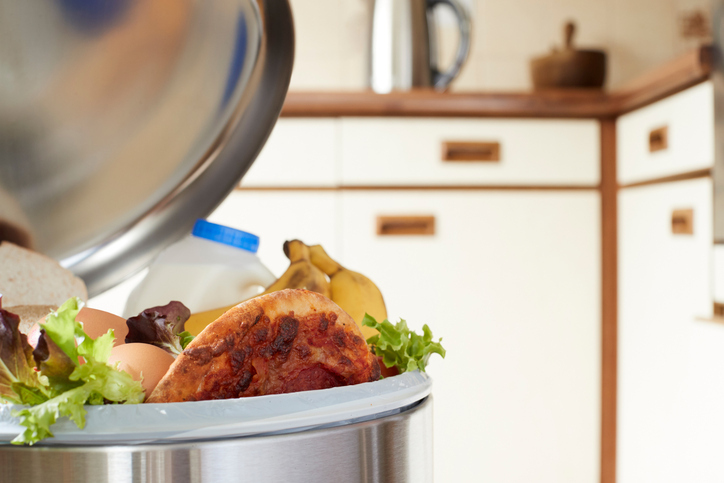 Another aspect weighs considerably on the situation: a third of the food produced in the world is either lost or wasted, and 6% of greenhouse gas emissions are caused by food waste that ends up in landfills. According to the Report, compared to last year, 6 million more people suffered hunger and malnutrition. Hunger has risen over the past three years, and the situation is worsening above all in South America and in most regions of Africa.